4 available sizes, more info below. 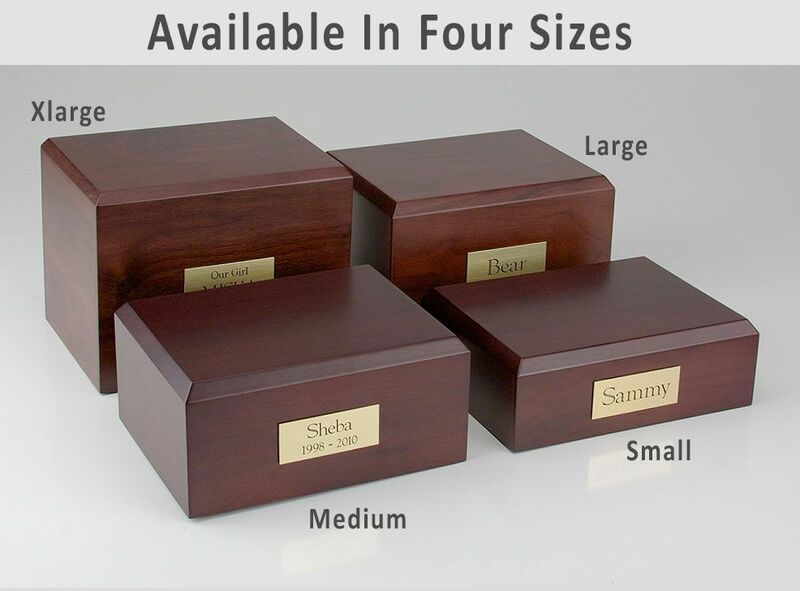 For details on choosing an urn size, click here. 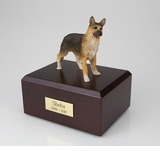 Our German Shepherd Dog Figurine Pet Cremation Urn - 099 is made from solid hardwood and adorned with an attached alabaster/resin figurine. 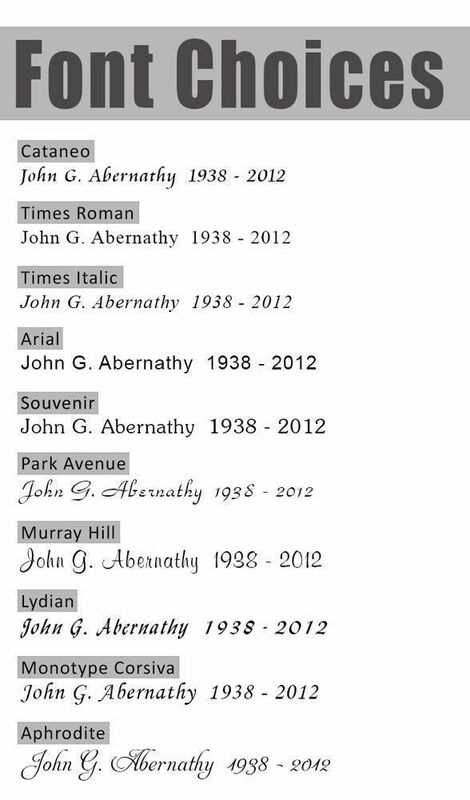 An optional nameplate with optional graphic can be added to the urn (up to 4 lines of text, 30 characters per line, including spaces). 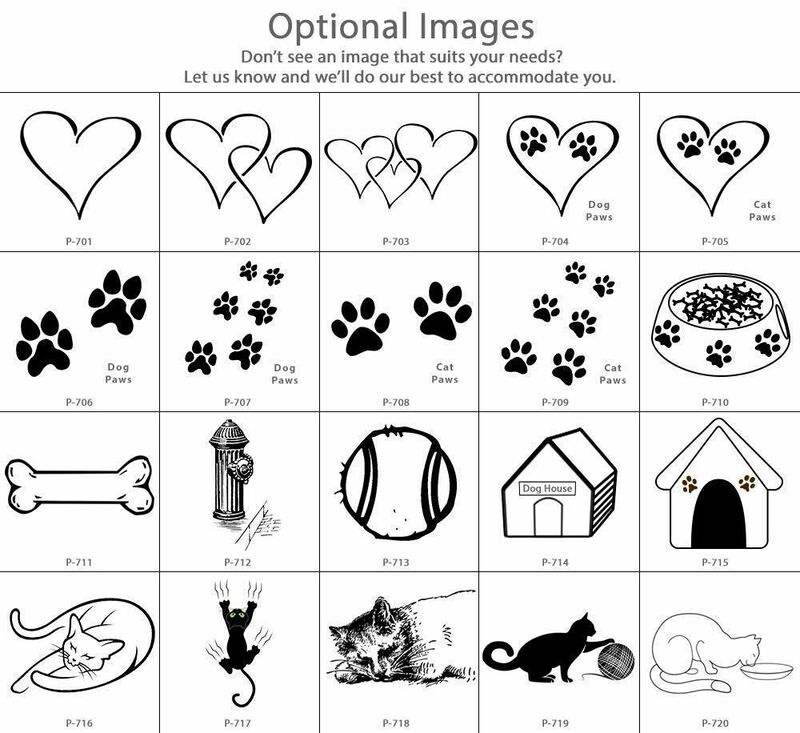 Your pet's bagged ashes are installed through the removable bottom which is secured with screws. 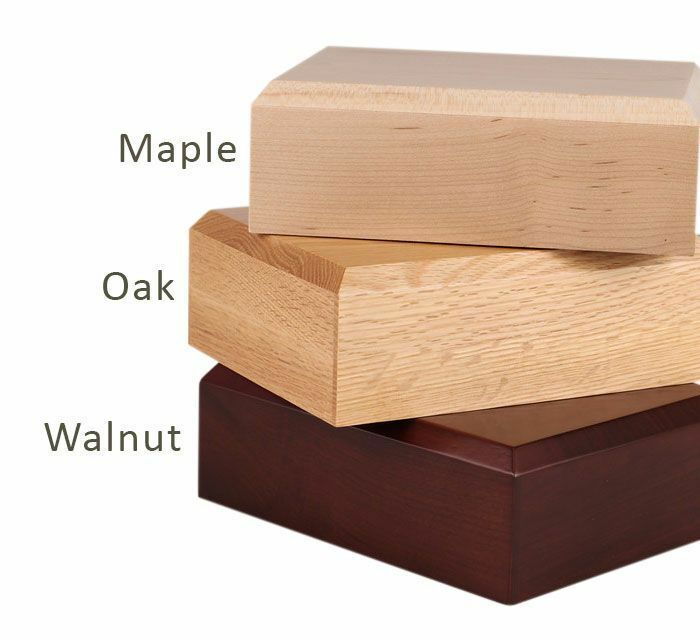 Available in four sizes and three woods (maple, oak or walnut). 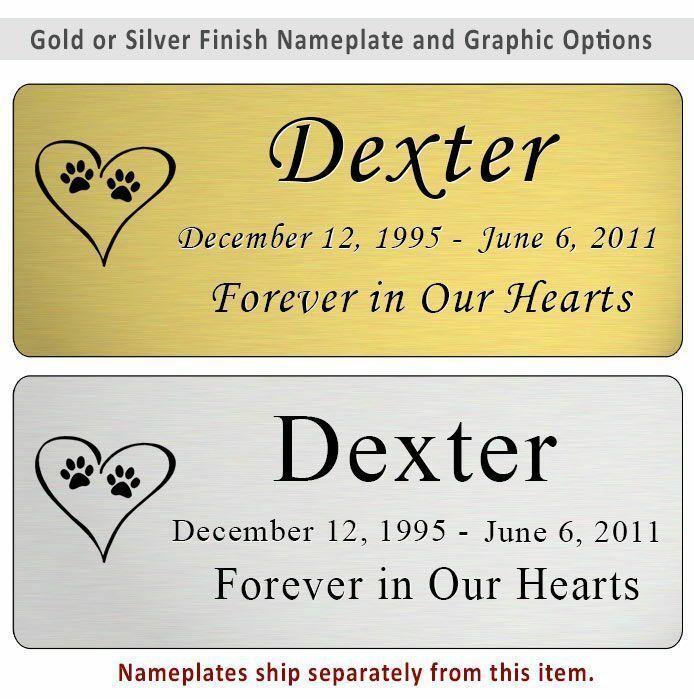 Optional nameplate dimensions: 2.75" x 1.12"
*Dimensions and capacity are approximate. The urn arrived well packaged, and without damage. When I opened it, I couldn't have been more pleased. It was well made, and the figurine was a perfect match for our beloved Smoke. 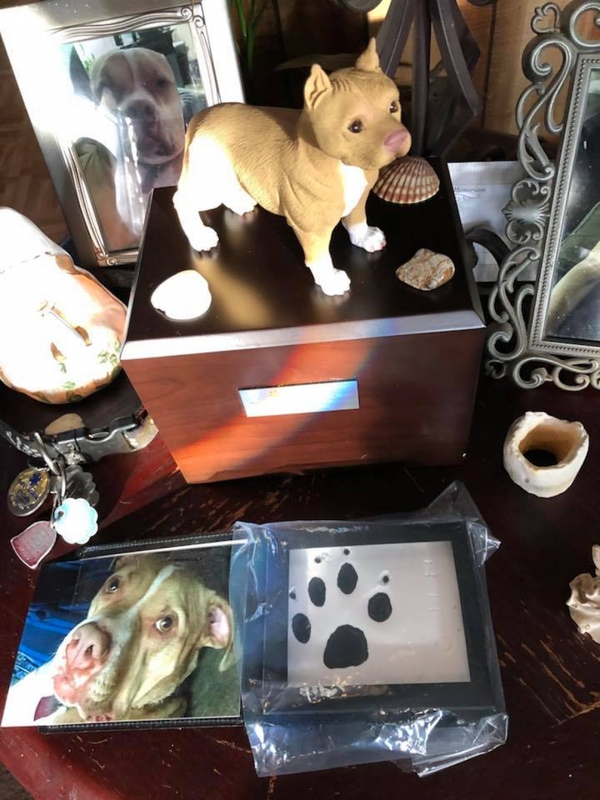 Thank you for your great customer service, fast shipping, and most importantly, the perfect urn to memorize our companion! 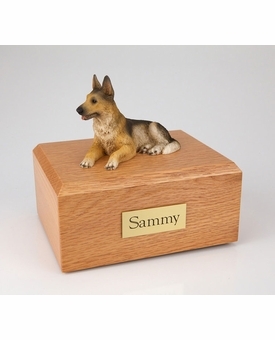 My Westie Pet Urn Box is as beautiful as my Dog was!! Thank you for the help in remembering our best friend. The box was shipped promptly and was everything I'd hoped for. Rapid response to questions, great advice. Great product, great price! 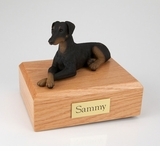 We have cremated our beloved pets and kept them in loving memory for years. These quality boxes are becoming more difficult to find. We were very happy when we found one for our sweet great Pyrenees. I'm sure that this lovely box will stand as a memorial to her for decades to come. This is a beautifully made cremation urn. The woodwork was outstanding in every way. 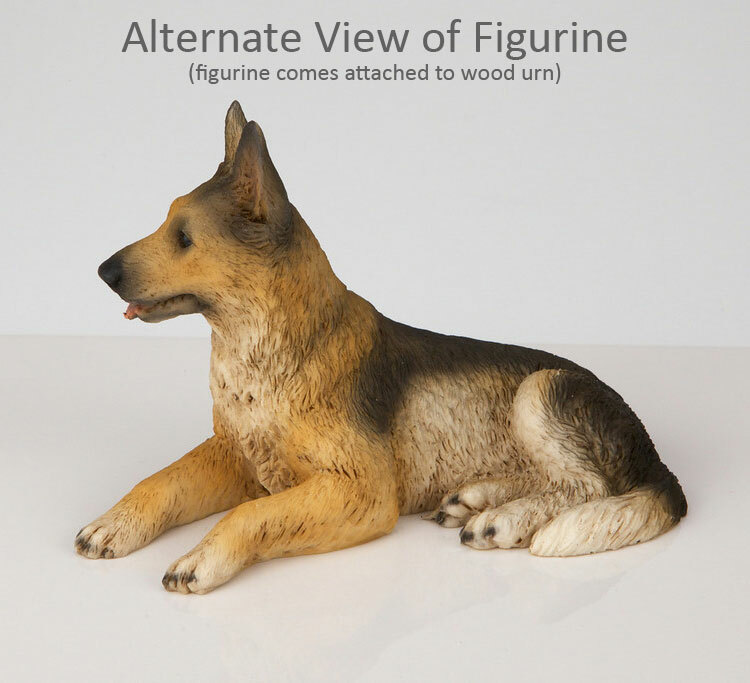 The addition of the Yorkie figurine puts it over the top. 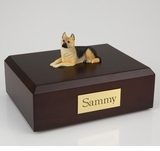 I would highly recommend this or any of the urns, like it, produced by this company for your furbaby's remains. I can't say enough about the quality. Thank you Mainly Urns. ProsAwesome attention to detail. All holes for screws are predrilled. Beautifully made. Quick delivery. I purchased for my miniature beagle that we lost after 14 years to cancer. I chose the cherry colored box in the small size. It was large enough for her ashes as well as her collar. The figure is a perfect representation of my curious little beagle in her prime. A little white paint, and the statuette looks a lot like Libby. 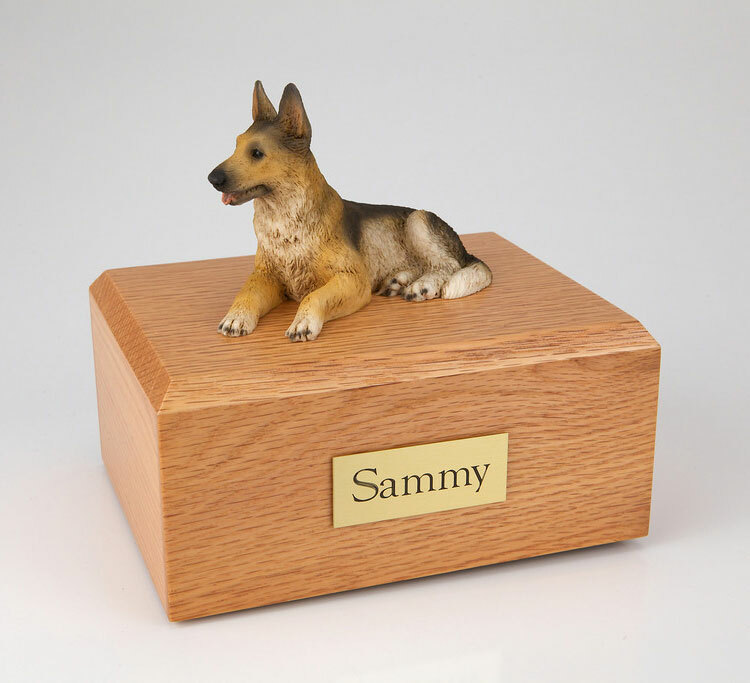 The urn is perfect and quality is great. I am extremely happy with it and highly recommend Mainely Urns to others. ProsExcellent product and the Miniature Pinscher is adorable and perfect size. Very, very happy with this beautiful resting place for our sweet Cavalier Bella. The box itself is well constructed inside and out. The cavalier statue is beautiful too. It was delivered to me quickly and packaged very well. Thank You Mainelyurns for this superior product. The box is well made and the likeness of the schnauzer is so similar to my little girl. Thanks for being so prompt I appreciate it. When we got the package & pulled it out it brought tears to our eyes. In a good way as this looks very similar to our son. He would be very pleased too. This is just a beautiful piece of art work to have so much detail and to have the name plate custom to what we wanted made it even more spectacular. 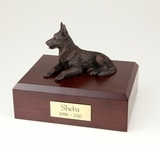 ProsEverything about this urn is spectacular from the wood, sculpture, name plate to the size. This was one of the best investments we made for our son. This will be cherished and displayed for our family and friends to enjoy too. It's a beautiful urn, exactly what I ordered and it came quick. I have not added the ash's to the urn yet, waiting on her ash's to come back to me. Special Urn for my special sweet Brittany Ethel. I miss her and now she will always be with me. Thank You. 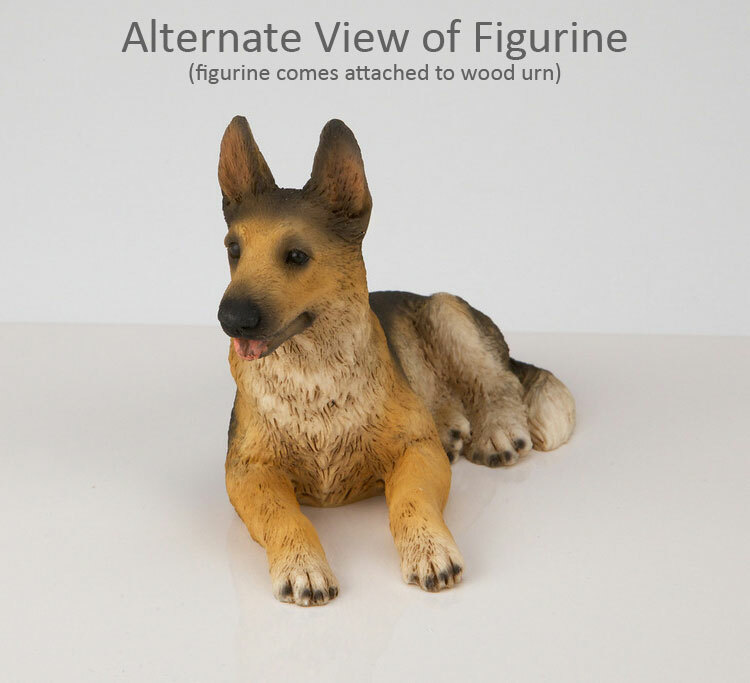 When I ordered the urn, I was contacted right away and told that the figurine for it was on back order, and offered choices of a different figurine or waiting. I chose to wait because the one I had picked out looked closest to my dog. The wait was not long at all, and the urn was beyond my expectations. The figurine is larger than I had anticipated, the quality is exceptional, and the customer service I received was outstanding. Excellent craftsmanship. High Quality nameplating. 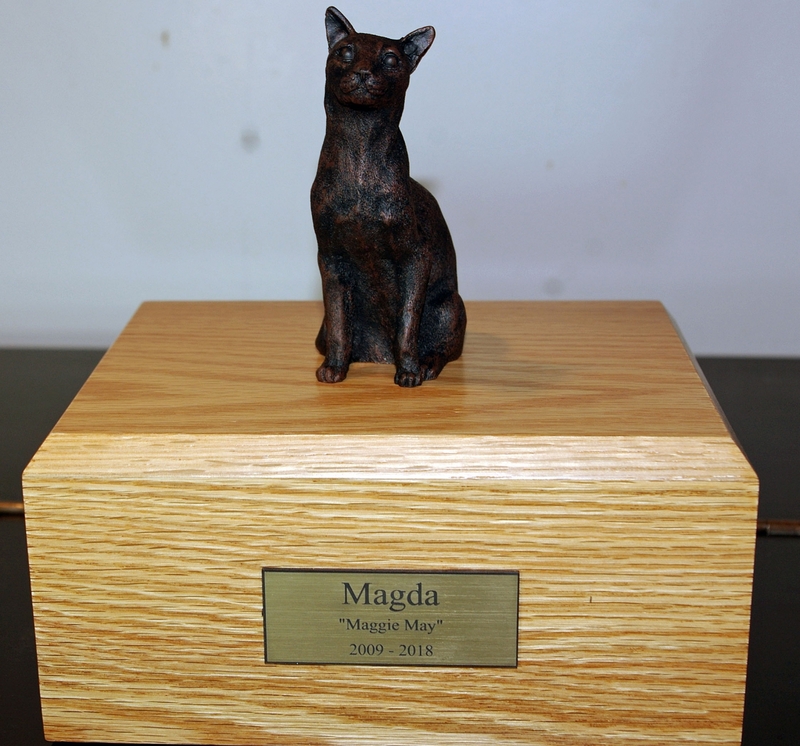 This is the eighth cat figurine cremation urn ordered over the years. The quality has always been superior without fail. It was just the right size. I like it! Just wish my C.C. was still alive, I miss him a lot. The Yellow Labrador I purchased for my baby who passed a way a few weeks ago arrived quickly. It was even more beautiful than it was depicted on the website. The figurine on top of the urn is larger than I expected. 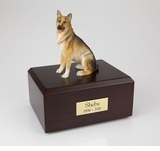 the urn is of top quality and priced very reasonably. I couldn't be happier with it!! Quality and Service are excellant! I was very pleased with the quality of the urn, it was beautiful and the service I received was excellent from start to finish! I would recommend Mainly Urns to anyone ! ProsQuick response to any question and quick turnaround with very affordable prices. Very nice love the dog on top only problem was small chip bottom coroner your guy's took care of. 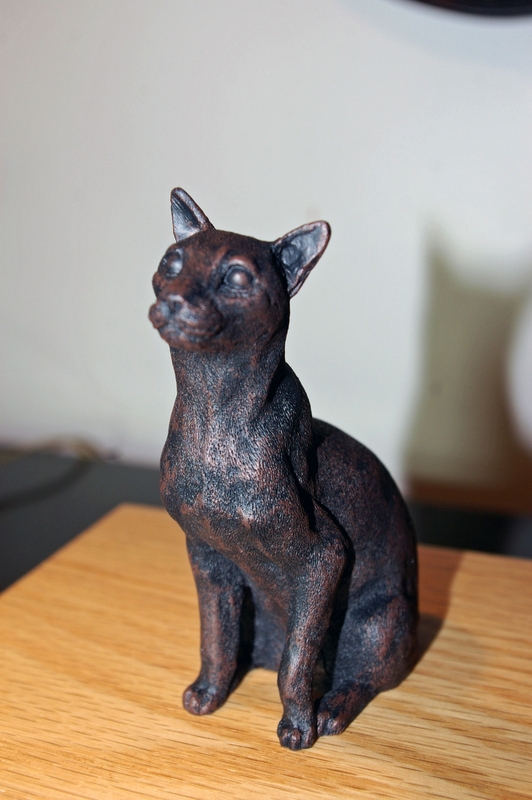 Wonderful urn to remember my greybaby that passed recently. Greyhounds aren't a common breed, so I was worried that I would not find a figurine for her. I'm so glad I found this for her. She sits on my shelf today beautiful as ever. The urn is absolutely beautiful and well made. The perfect piece for my precious fur baby. Beautiful. Wonderful likeness to my Sadie. 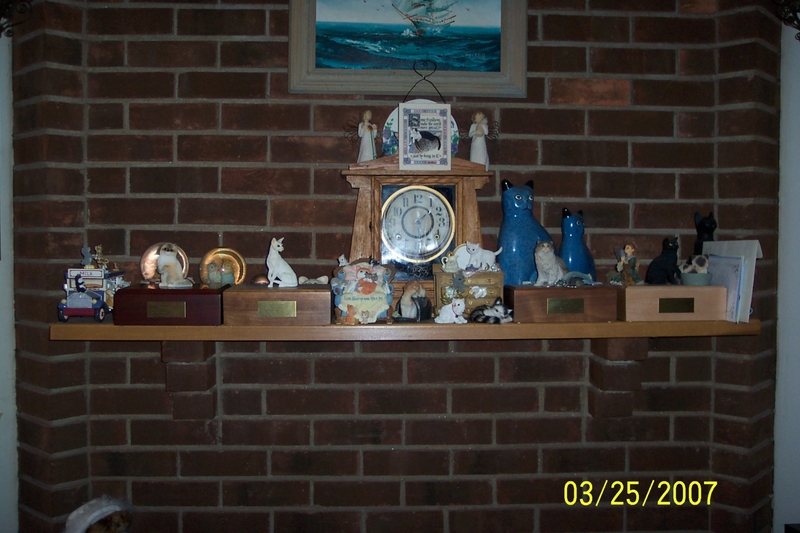 I purchased the Walnut urn with the Siberian Husky figurine a top of it for my husky of 12 1/2 years. Your sizing charts helped a lot in knowing what was going to be needed. I also appreciated your prompt delivery. I received the urn within a couple of days of placing my order. It was a tough time losing my best friend but you helped make things a little easier and I thank you for that. Loved the urn, it was as beautiful as described, just absolutely gorgeous! ProsGreat customer service, the urn was as described. Very nice urn. Made very well. Beautiful Jack Russell statue! Well packed and in perfect condition. Thank you!